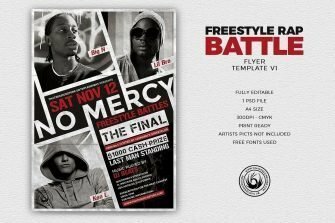 Check out this Freestyle Rap Battle Flyer Template designed to promote your RAP special event at your favorite club. Customize your Hip hop Flyer Psd Templates easily. 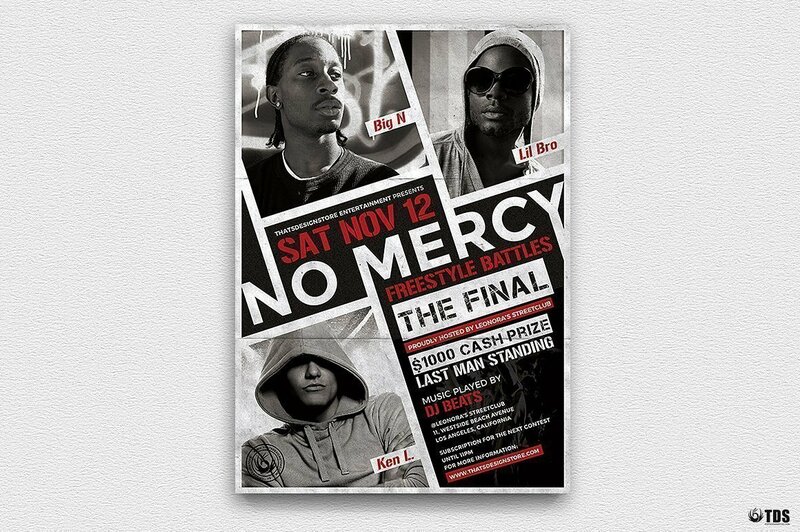 Included in our famous Massive Bundle 300 Flyers.